Bribing officials. Relaying and returning migrants to poor countries without adequate scrutiny or screening. Closing borders. Setting up camps with appalling conditions. Barbed wire and armed guards. Europe now faces the most profound test on the refugee crisis so far: to persist in processing arrivals within its borders, or return them with indifference into unsafe territories. This is the Australian model of border control writ large. It enlists and politicises defence forces and border protection behind a veil of military grade secrey. It shifts the burden of processing asylum seekers and refugees from wealthier states to poorer ones. It effectively suspends the application of the Refugee Convention and does a good bit of demonising of refugees along the way. Critics laughed it off as irrelevant, a political product of a paranoid island continent and a clownish ex-leader. Landlocked countries, in particular, could hardly impose a return policy en masse given the sprawling trails of humanity coming in. It would entail massive border closures and expulsions, not of boats with dozens of human occupants but convoys of tens of thousands. Turning back refugees, and cutting off the lines through the Balkans, is exactly what is happening in the pursuit of a rather venal plan of mass deportation with Turkey. The outlines of it were made at a summit on March 7, where European leaders met the Turkish prime minister, Ahmet Davutoğlou. The Turkish proposal involves accepting the return of all migrants and refugees who cross the Aegean to Greece in return of a resettlement of asylum seekers in EU countries from Turkey itself. This effectively constitutes a mass removal of individuals, a plan of questionable legality. Under international refugee law, Turkey would have to be designated a safe haven for asylum seekers. The summit has invariably spurred countries to close the Balkan route. Macedonia has closed the border with Greece, resulting in the stranding of 15,000 individuals. Croatia, Serbia, and Slovenia have tightened controls, putting on the brakes with heavy feet. Donald Tusk, president of the European Council, has expressed confidence in this new “collective” response to the refugee crisis, claiming that “irregular flows of migrants along western Balkans route have come to an end”. This was geographic reality – Turkey being the bridging country between two landmasses. But, argued The Economist, order had to return, with borders opened, to a certain extent; “the only alternative to chaos is a fair and orderly migration system”. Human flesh has become a measure of grand political bargaining. The consequence of this haggling has been a trafficking and bartering over human matter in favour of new political realities Turkey wishes to change. There is the issue of visa liberalisation, which Ankara has been pursuing with some vigour. 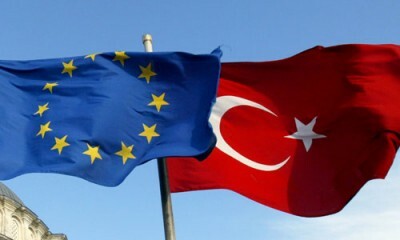 The largest matter, one that never goes away, is that of Turkish accession to the EU. Most striking of all is the refusal on the part of the EU to raise the issue of Ankara’s latest, and very aggressive, assault on press freedoms. President Recep Erdoğan has every reason to be pleased, crushing dissent and scrutiny at hope while pretending to be Europe’s broom of order. Despite any reservations on the part of the Greek prime minister, Alexis Tsipras, his government still signed a readmission agreement for migrants crossing the Aegean to be returned. This further builds in a regime that promises to be more cruel than fair. Such fairness is evidently missing to those who are huddled before the closed borders. Refugees chant German Chancellor Angela Merkel’s name in desperation and hope. Merkel in turn had regarded the Balkan closure as an “unsustainable” travesty, an outcome of a failed approach to the issue of dealing with refugees. But she is wrong to assume that Europe is not acting collectively on this. A dis-unified position is rapidly forming into a hardened, brutal stance of vicious unity.